I will explain you to perform Switchover in Oracle Dataguard in this article. As I mentioned in my above posts, Dataguard is Oracle’s Disaster Recovery solution.You can open dataguard in case of a disaster and make the database available as soon as possible. You can perform switchover between production database and dataguard, in case of any disaster or any maintenance (ram, disk exchange etc) on the server on the Production side. This operation we call Switchover changes the modes between Primary (Production) and Standby (Disaster or Dataguard). 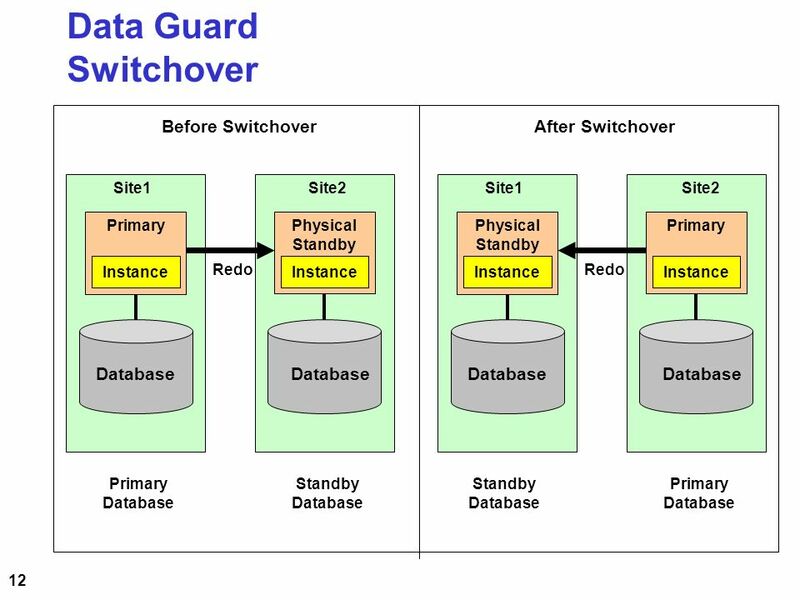 So the primary database will be the Standby database after this switchover, while the Standby database will be Primary database. The steps to be performed step by step on the Production and Standby side of the switchover process are as follows. MehmetSalih server is the Production database server, and Deveci Server is Standby server in the example. Manual logfile switch is done before Switchover on Primary like following. In this step, we perform switchover operation and our Primary database will be Physical Standby. In this step, we perform switchover operation on Standby and our Standby database will be Production. Now the MRP process on the new Standby side ( Old Production ) is run as follows. Now Switchover operation is completed. You can do same steps to reverse them.